Highs of Last Week: This past week has been a positive for the Mariners, culminating in a 12-6 win over Baltimore last night. The Mariners close out the series today against Baltimore, looking for a sweep against the Orioles. Lows of Last Week: The M's pitching hasn't fared too well this past week, with Wade Miley only lasting 4 innings the other day, and the bullpen averaging over 9.00 in the ERA department. Player of the Week: Seth Smith went 9/18 in his last 5 games with 3 HRs and 7 RBIs as he transitions to an everyday player since the Mariners designated Aoki to AAA a little more than a week ago. Worst Performer of the Week: Chris Iannetta has been struggling as of late, going 2/17 in his last 5 games, while getting the day off yesterday with the return of Mike Zunino. The Week Ahead: The Mariners finish their homestand today against the Orioles and then hit the road with 3 against the Houston Astros and 4 against Kansas City. Houston is 8-2 in their last 10, with Kansas City at 5-5. The Mariners are still doing slightly better on the road, with a 21-19 record during away games. Game 82 -- Sun., July 3 - Baltimore Orioles, 1:10 p.m.
Game 83 -- Mon., July 4 - @ Houston Astros, 11:10 a.m.
Game 84 -- Tue., July 5 - @ Houston Astros, 5:10 p.m.
Game 85 -- Wed., July 6 - @ Houston Astros, 5:10 p.m.
Game 86 -- Thu., July 7 - @ Kansas City Royals, 5:15 p.m.
Game 87 -- Fri., July 8 - @ Kansas City Royals, 5:15 p.m.
Game 88 -- Sat., July 9 - @ Kansas City Royals, 1:15 p.m. 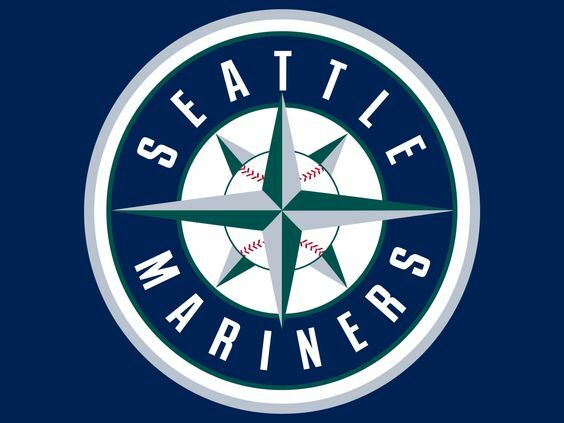 The Mariners seem off and on this year. They have talent. They could be a force if they can put it all together. Yeah, 4 game sweep of the Orioles who had been playing well was a surprise, but looked like the O's not very strong starting pitching was catching up to them finally. I like the starting pitching the Mariners have sans Miley, but they haven't been performing up to the promises they've shown at times and with Felix perhaps regressing a little or is just hurt isn't helping. Their starters caught up to them too as they immediately followed that sweep by getting swept by the Astros, who they are getting behind too now. Had a decent series win against KC it seems, although I've enjoying the resurgent Royals these last couple of years and been hoping for them to get their season back on track again too. Once again, the Royals too have a starting staff not performing very well at all and with some key injuries not helping them either. On to the All Star game and break! I hope those starters can pick things up more and Felix comes back soon and healthy and back in form. That'll be big for them. Cano and Cruz having pretty great years so far I'd say. Decent first half for the M's, although falling so far behind the Rangers in the division so quickly has dampened earlier good feelings. People not like or care about the home run derby or All Star game at all? Anyone? Ha. Cano's in the derby for what it's worth, though I don't really like the head to head format they're trying now, or the timed rounds now really either. But will see how it turns out and if people enjoy it.